No matter how many times I practice spelling it, I still don’t feel like I’m getting it right. Something seems to be missing – a vowel or maybe two – or perhaps the letters are in the wrong order. But spell check repeatedly tells me it’s right, so I shrug my shoulders and move on. That’s kind of how I’ve been feeling since I arrived in Kyrgyzstan about ten days ago. Everything seems a bit ‘jumbled’ and counter-intuitive… and I still feel like I need to buy a vowel. But my own personal ‘spell check’ – running – has told me that everything is just as it should be and I should keep trucking along. Let me back up a bit. I arrived in Bishkek, Kyrgyzstan last Sunday, May 12, to take up the position as Human Rights Adviser on a community policing project run by the Organization for Security and Cooperation in Europe (OSCE). Although I’ve had about eight weeks since I left Afghanistan, I have travelled to Hong Kong (twice), Australia, across three time zones in Canada, New York, London, and even Liberia for a short term project since then… so needless to say, it has been a busy time. When I finally made it here, I barely knew what time zone I was in, let alone what country. I wasn’t seeing, hearing or feeling K-y-r-g-y-z-s-t-a-n, but rather some muddled version of it, mixed up in a jet-lagged and culture-shocked haze. Kyrgyzstan is one of those countries you may never heard of, or perhaps you might mistake it for Kazakhstan instead. But it’s a fascinating country rich in culture, landscape and turbulent politics. It is a wonder to me that it hasn’t come up on my radar before. To start a bit with its modern history, Kyrgyzstan fell under Soviet rule in 1918. On the one hand, the Soviet empire provided some benefits to the Kyrgyz people as it offered better economic stability for the former-country. On the other hand, with Soviet rule came repressive nationalist policies, which undermined and weakened traditional Kyrgyz culture. With the collapse of the Soviet Union, Kyrgyzstan became the first Central Asian republic to declare its independence in 1991… but apparently, somewhat reluctantly. 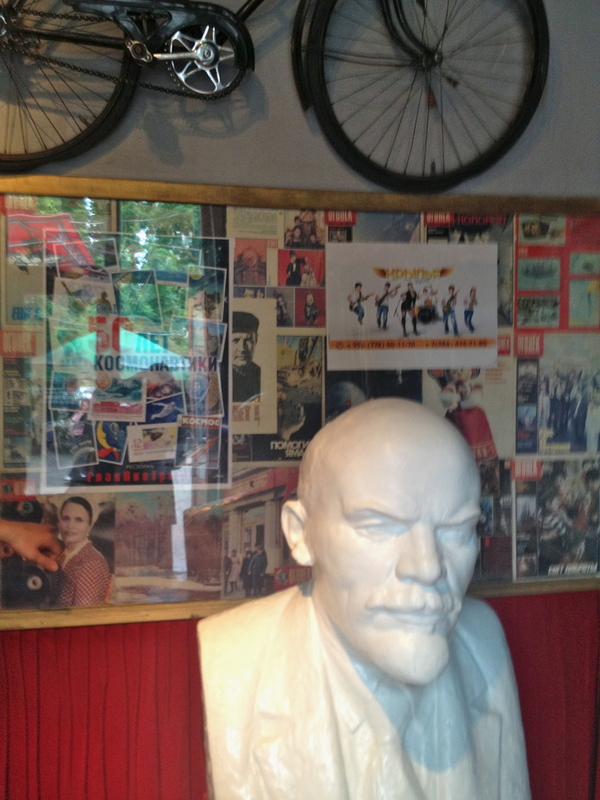 Even now, symbols of Kyrgyzstan’s Soviet past are clearly visible around town in the capital of Bishkek and there appears to be a feeling – at least among some – that things just ‘worked better’ during Soviet times… but more on that later. The early 2000s were marked by increasing allegations of governmental corruption and civil unrest, which culminated in the protests of 2005 around the parliamentary elections. Demonstrators stormed governmental buildings in Jalalabad, Osh and Bishkek, forcing the President to flew to Kazakhstan and then Moscow, after which he resigned. The former prime minister, Kurmanbek Bakiev, took power as president, but the political turmoil continued. When Bakiev was re-elected in 2009, there were allegations of electoral fraud and voters once again took to the streets in an attempt to overthrow their leader. In April 2010, demonstrations against the government turned quickly into riots in the cities of Talas and Bishkek, resulting in 88 people dying and hundreds of people injured. Bakiev fled, just like his predecessor, and an interim government was established. In June 2010, violence broke out mainly in Osh between the ethnic Kyrgyz and the ethnic Uzbeks, which was related to the ousting of Bakiev (who was strongly supported by the ethnic Kyrgyz). Crowds of Kyrgyz citizens attacked Uzbek neighborhoods (called mahallas), burned down properties and physically attacked the ethnic Uzbeks, who form a sizeable minority population in the south. In many cases, the police reportedly stood by and let the violence continue, or worse, took sides according to their ethnicity, instead of intervening to stop the attacks. In the wake of the violence, the OSCE established a “Community Security Initiative” to help raise the professional standards of the police force in Kyrgyzstan and to help rebuild trust between citizens, civil society and police officers. I have been hired as the human rights advisor on this project to work with the international police advisors and their local police counterparts on community policing. No small task, that is for sure. Admittedly, I have only seen Bishkek so far, which is in the north of the country and about a day’s drive across the mountains from Osh, where the violence took place. But walking around this city, it is hard to imagine violence ever breaking out. 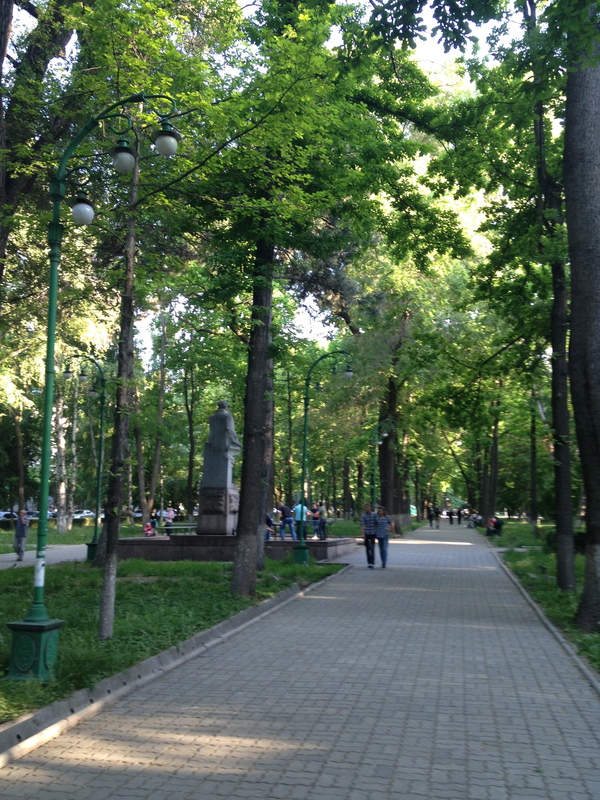 Bishkek benefits from meticulous Soviet city planning: wide boulevards lined with leafy green trees; well-laid out parks for kids to run, teenagers to play table tennis, and old men to stroll or laze around on park benches; and an easy-to-learn grid system of streets. I have been warned that the city can be dangerous, that I shouldn’t be outside alone under any circumstances after dusk, and that I should be on alert at all times… but all I’m seeing before me seems peaceful. I think? After my first week of work, my brain was on tilt. I have so many questions about this place, the people, the culture… but I’m terribly limited at the moment in my ability to ASK. English here is pretty much non-existent, apart from those employed by international organizations, but even then, most if not ALL of the internationals I’ve met are fluent in Russian. In Kyrgyzstan, Russian and Kyrgyz are the two national languages and unfortunately, my fluency in either is, er, lacking. I’ve ordered Rosetta Stone online for Russian, but at the moment all I can say is “boy eating” and “woman drinking milk” and such. Not terribly helpful when you want to engage in high-level discussions about inter-ethnic tensions or domestic violence, hmm? Even simple tasks like going to the grocery store seem difficult, although thankfully amusing at times. Absolutely none of the labels are in English characters, so I often don’t know what I’m getting. Today I thought I was buying white chocolate covered almonds… what I got instead can best be described as sour, fermented and dried horse’s milk formed into little balls. I wouldn’t recommend them. The other day I had to laugh after spending about ten minutes trying to mime opening up a wine bottle for a store clerk when I was trying to ask whether she had a corkscrew. She kept going into the store and coming back with random household utensils, none of them resembling what I was after… when she brought back a dish towel and a spatula, I knew I was losing the battle! At least I know what these are… dangerous!! I knew only one thing could help make me feel slightly more normal again in this new foreign land of K-y-r-g-y-z-s-t-a-n: running. 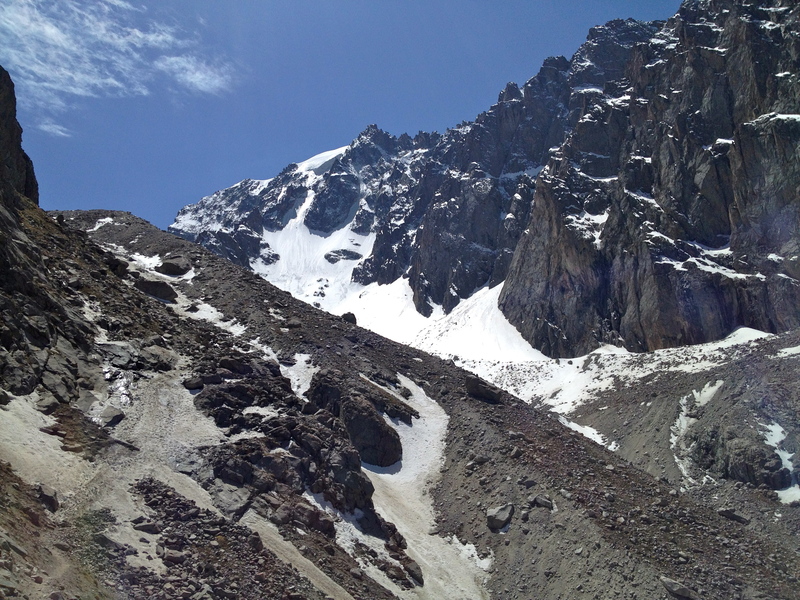 So on Saturday morning, I hired a driver to take me out to one of the national parks just an hour outside of Bishkek called Ala Archa. If that couldn’t cure me, nothing could! I couldn’t believe how beautiful this place was – and so close to the city!! Once I entered the park, I found a path and just started hiking upwards, not quite sure where it was taking me but happy to see where it went. My legs felt like lead, but the excited buzz in my head fuelled me along. I’m sure I could have gotten a much better workout had I not stopped every few seconds to take a photo. Every scene was a painting without a frame to constrain the view. Evergreen trees and flowers down below, and snow-capped mountains up above. Seriously, what more could I have asked for?! 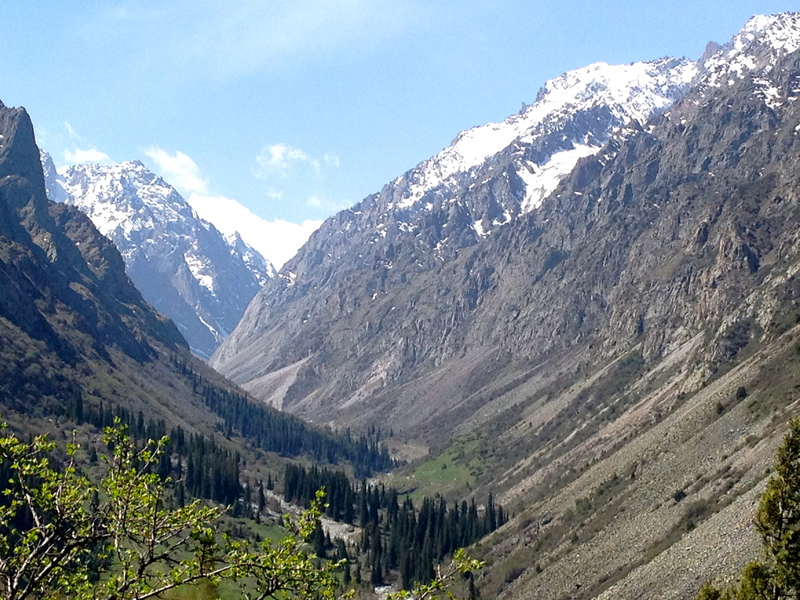 And why isn’t everyone in the hiking/trekking/running community flocking to Kyrgyzstan?! I feel like I am letting out a well-kept secret, but I can’t help it. I found paradise, and it is in one of the ‘stans if you can believe it! I kept climbing higher and higher, past a 50 m waterfall and up a rocky mountainside, until suddenly I found myself on all fours in snow and ice. Given that I was only wearing running shoes and shorts, I made the wise decision to turn around and finish my run at a lower altitude (you’re welcome, Mom!). There were many locals hanging out in the grasslands in the valley of the Ala Archa Canyon, having picnics, barbeques and playing games, but everyone seemed to just let me get on my way without too much trouble. I hiked/ran in total for about five hours before my driver came to collect my weary self to take me back to my apartment in Bishkek. When I turned on my Rosetta Stone the next day to resume my Russian studies, the next phrase I learned was Девушка работает…. which is “girl running” (I think!). How appropriate. Now I just need to learn the phrase for “girl needs a deep tissue massage” and I’m golden. It is one of those sentences that I really can’t afford to mess up or I could find myself in a really awkward situation. I’m now feeling more settled in my second week, but it is going to take a while before I start to understand where I am and what I can do here in K-y-r-g-y-z-s-t-a-n. At the end of the month, I relocate down south to Osh, where I will be based permanently. The nature of human rights work, particularly in field missions, means you have to be prepared for changes, roll with the punches, and thrive on the challenges in store, expected or unexpected. No doubt, in a few months’ time, I will be right at home like I did in Afghanistan. From what I’ve learned, the northern and southern parts of Kyrgyzstan have developed almost as if they are two different countries.Indeed, the north and south are separated by a long mountain range, so it isn’t too surprising that the north has developed culturally more in line with Kazakhstan and Russian, while the south has been influenced more by Uzbekistan and Tajikistan. The south is more conservative, more Muslim, and more ‘exotic’ than the north. From the conversations I’ve had with expats so far, these are not viewed as positive attributes… I’ve had many people crinkle up their noses or give me a sympathetic pat on the back when I’ve mentioned I will be relocating to Osh. However, I’m thinking maybe I will feel more at home in that environment than in the hustle and bustle of oh-so-european-but-oh-so-russian bishkek. Time will only tell…. for the moment, I’ve got two more hikes planned this weekend with the Trekking Union of Kyrgyzstan, so I’ve got plenty to distract me. Perhaps this is the start of my training for UTMB? Thanks for reading and please post a comment or a question if you want to hear more about any aspect of Kyrgyzstan! Happy trails…. This is such an eye-opening, interesting post on so many levels — running, traveling, history & politics. Thank you! And be safe! Question: what’s the reaction to you get from others when you run around the town, and do you see any other runners? If so, mostly men or women too? BTW I just shared the post on my FB page. Hope you can keep running! I found when I ran solo by myself while abroad in sketchy areas, or where it’s frowned upon, it helped to dress as modestly and masculine-y as possible (e.g. longer sleeves, capris instead of shorts, hat). take care! Thanks Sarah!! Yes, I did a whole sports wardrobe overhaul before coming… although it isn’t much different than running around in the compound in Afghanistan. I even have some male pieces of clothing so that they are baggier. 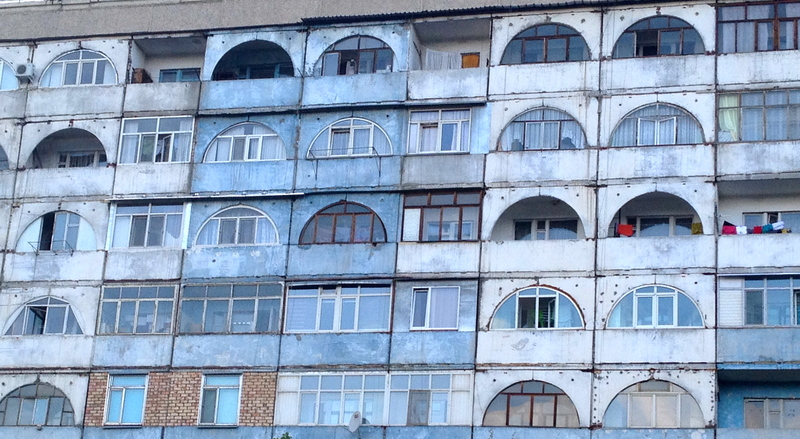 The issue in Bishkek doesn’t seem to be tight or revealing sports clothes… the women here dress VERY “western-like”. I’ve seen more tight jeans and short dresses here than I might back home! I think it is the actual act of running that people might find strange. Who knows. I have 40 degree heat waiting for me in Osh (celsius), so if I am able to run down there, I would stare strangely at me too! Your writings are extraordinary and and equal match for your running talent! I look forward to your next write up. Good luck with the UTMB training – those mountains are perfect and I hope you are able to continue with your training in the locality without fear. I have somewhat smaller hills called the South Downs to use for UTMB training! If you need a drip feed of Cadburys buttons let me know and I can see if I can send you them by mail! I think I scare the cows but the sheep seem happier! Keep smiling! Extraordinary writings indeed, as always. I just wanted to point out that the russian phrase you wrote means “girl working”, not “running”! 😉 Take care! Ha, oh no!!! How funny. I tried to use google translate to copy the characters, but didn’t double-check it with my lesson. Oops. Hopefully the lesson I’m following isn’t wrong too, otherwise that could cause some confusion!! I would hate to tell people I am an Ultra Worker!! Stunning Mountains, have to to say, pretty much just heard the name of it, not knowing anything about it. And it seems like a lot of those kind of places have suprices. It truly seems like a secret paradise for trail and mountain lovers. I bet there would be great skiing there as well (is there?). Always interesting reading from you as well. And that you’re dedicated with your work to help others is just amazing. it’s inspiring to read and I wish there where more of it out there, including in me. Good luck with future work and exploring of trails. This was a fascinating entry. I was trying to find running routes in Bishkek and I came across your page. Fascinating. Thanks for these links. I’ll be sure to get a hike in now! Great! Kyrgyzstan is such a beautiful country. 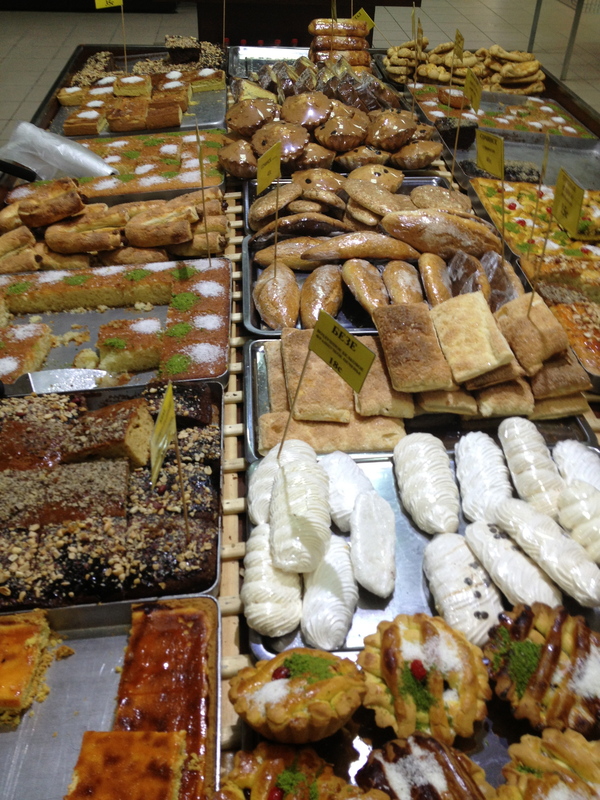 I also HIGHLY recommend Arslanbob in the South, where I used to go training while living in Osh. You can stay with families there and run/hike around ancient walnut forests and up mountainsides. Fun! 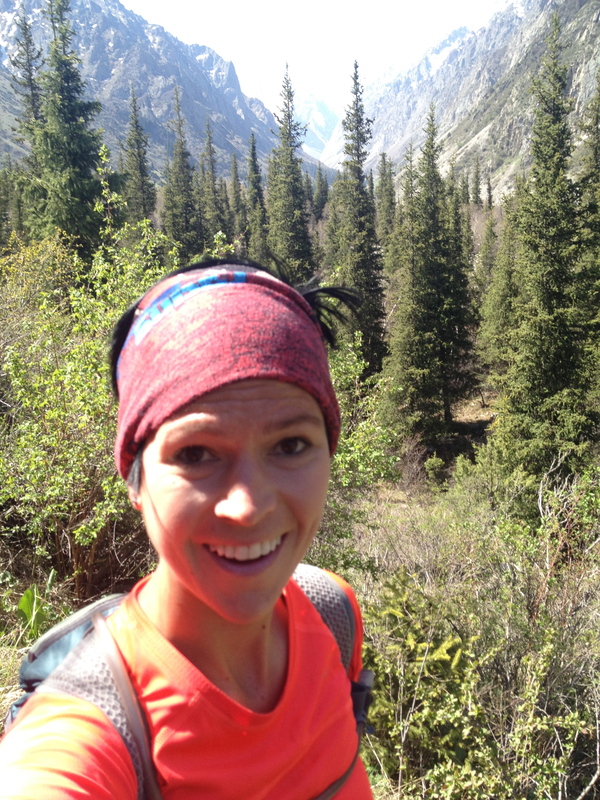 I stumbled on your blog today (via a link to your Iran Marathon post); as a novice ultramarathoner who loves travelling to ‘less-visited’ places and who used to work in Kyrgyzstan, this was a real find. Definitely a blog I’ll be subscribing to! I hope you enjoyed the rest of your stay in the country? I lived there in 2008 and returned for a holiday in May 2013. Kyrgyzstan was much more developed for tourists on my second visit than it had been before (for better and worse) but Osh seemed to us a shell of its former, vibrant self- still recovering from the events of 2010, I guess. I absolutely loved Arslanbob and Sary-Chelek and enjoyed Jalalabad, all places I’d missed first time round, but you’re right, the North and South are almost like different countries; I’ll always be a Northerner at heart. Those little fermented milk balls are called ‘kurut’ and I grew to be a fan, after a while!